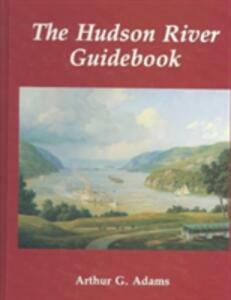 The first comprehensive guide to the Hudson since the works of Ernest Ingersoll were published in the early 1900s, this guidebook arrives to fill the need for a detailed, point-by-point guide to the river from its intersection with the Atlantic to its source in the Adirondacks. Adams offers his reader five routes by which to tour the region. The traveler can venture directly up the main steamboat channel, or choose road and rail routes on the east and west shores of the river. Maps for each route are included, together with suggestions for excursions to many points of local and historical interest along the way. Over 250 photographs and paintings, and excerpts from American authors pepper the book, giving multiple perspectives of the region's long history. 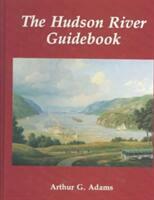 For the armchair as well as the actual traveler, from the Abyssal Plain to Doodletown and Chevaux de-Frise, past Anthony's nose, Burden's ironworks, and the Saratoga Battle Field to the Hudson's source at Lake Tear of the Clouds - this is the perfect traveling guide to the Hudson River region, rich in its history and culture, and ever-plentiful in its breathtaking sights.